Web Hosting solutions including one-click Joomla installation are increasingly popular as more and more people use this open-source software to fulfil their website's content management system (CMS) needs. Take a look at our providers comparison, read our objective, in-depth reviews and secure yourself a great deal on Joomla Hosting today. Joomla Hosting is a Web Hosting solution that allows you to use the award-winning, free open-source content management system (CMS) Joomla. The word "Joomla" is the phonetic spelling of the Swahili word "Jumla" which means "all together". Written in the PHP programming language, Joomla has a huge array of features, including RSS feeds, blogs, polls, news flashes and website searching. Joomla has been downloaded over 50 million times, making it the second most popular CMS in the world - only industry-dominant WordPress is bigger. Much of Joomla's popularity comes from its versatility - advanced web developers can adapt it to make highly complex, advanced websites. Illustrious examples of Joomla websites include eBay, Harvard, La Folie Douce and Citibank's intranet. However, even inexperienced website creators can enhance Joomla's capabilities by installing any of the thousands of free extensions available from the Joomla Extensions Directory. Joomla is freely distributed under GNU General Public License. Like Drupal and WordPress, it is supported by a large and enthusiastic community of developers who regularly contribute new extensions and innovations to the software. Joomla was created in 2005 after a fork from Mambo, a simple CMS software which began in 2000 and ceased development in 2008. 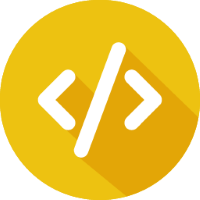 Forking is a term used in software engineering when developers take copies of the software’s original source code and then develop it further independently, eventually creating an entirely new piece of software. In this case, the fork was caused by a dispute over open-source values. 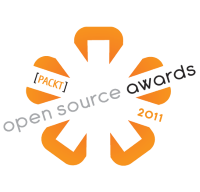 Joomla has won the Packt Publishing Open Source Content Management System Award three times since its creation. 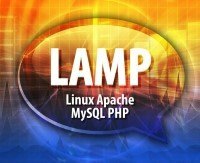 Joomla runs best on a LAMP (Linux, Apache, MySQL, PHP) server setup (also known as a LAMP stack) as that is what it is designed for, but it can be used on a Windows Server via the Microsoft Web Platform Installer. It is installed via a script, usually at the click of a single button on the hosting control panel. 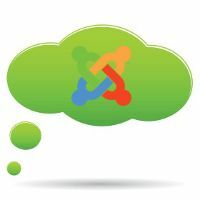 Migration of Joomla sites between servers is simple thanks to its utilization of a configuration file in the root folder containing a multitude of important settings. This is a key benefit when considering scalability - if your site grows beyond your expectation and you need to move it to a new server on a new Web Hosting plan, it helps to make the process to be as simple as possible. Try the Joomla Test Drive to get a feel for how it all works, with no commitment required. In comparison to WordPress, Joomla is generally considered slightly more challenging to use at first. Despite this, the ease of use endowed by its 'model, view, controller' (MVC) architecture makes the extra investment of time worthwhile in the long run. The sheer amount of people who use WordPress and contribute to its vast open-source library dwarfs those who use Joomla. However, WordPress is generally used to run simple websites whereas Joomla is favored for creating more intricate sites with complex functionalities - the number of sites in the former category will always be higher than in the latter. Drupal is considered the most advanced of the 'Big 3' CMS. It has a much smaller user base than WordPress and Joomla, but it is incredibly active. The number of free plug-ins and themes available on Drupal surpasses those on Joomla by quite a distance, but it is considered more difficult to use than Joomla, particularly for beginners. Joomla is considered to be something of a happy medium; offering more advanced options and complexity than WordPress, while remaining easier to use than Drupal. 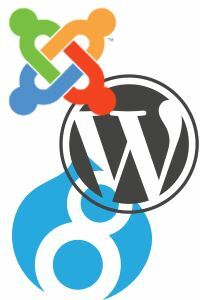 Like WordPress, out-of-the-box Joomla integration features have been implemented by many Web Hosting companies. The hosts in our list above offer one-click installers of Joomla in order to provide an easy way for you get started creating your website. Some Joomla Hosting providers also offer free setup and installation, or free Joomla templates and plug-ins. To install Joomla on one of these hosting solutions, you usually only need to visit your hosting control panel, and click one button - hence the term 'one-click installation'. This simple process enables you to get your website up and running in a matter of minutes, after which you can focus on the fun stuff; creating the design, layout and content of your site. 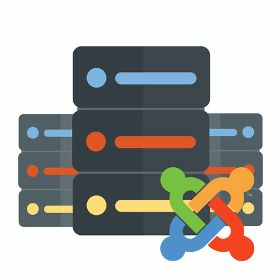 Is Joomla Hosting right for me? The software itself is free and there is a vast range of extensions to choose from to extend its functionality. If you want something more functional than WordPress, but less daunting than Drupal, Joomla is an excellent choice for you. Get your Joomla Hosting plan today! If you are still unsure you can use our Hosting Wizard and Knowledge Base for more ideas, or Compare Hosting plans side by side - whatever you decide, Web Hosting Search is here to help you find the best deal!